Just a week before election day, more than one in three Democrats remains undecided about who to vote for in the party's contest for attorney general. 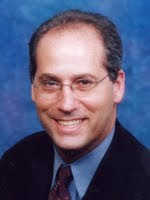 Nevertheless, state Sen. Dan Gelber, D-Miami Beach, holds a 38 to 27 lead over state Sen. Dave Aronberg, D-Greenacres, according to a new Sunshine State News poll of 1,000 likely voters. But that leaves 36 percent of respondents still undecided in the contest. Holding a decided advantage in Southeast Florida, where he leads 51 to 26, Gelber appears well-positioned for the nomination. The region represents 27 percent of Florida's total Democratic vote. Additionally, Gelber enjoys a 45 to 27 edge statewide among the most likely voters, those who cast ballots in both the 2006 and 2008 Democratic primaries, said Jim Lee, president of Voter Survey Service, which conducted the poll for Sunshine State News, Aug. 9-12.